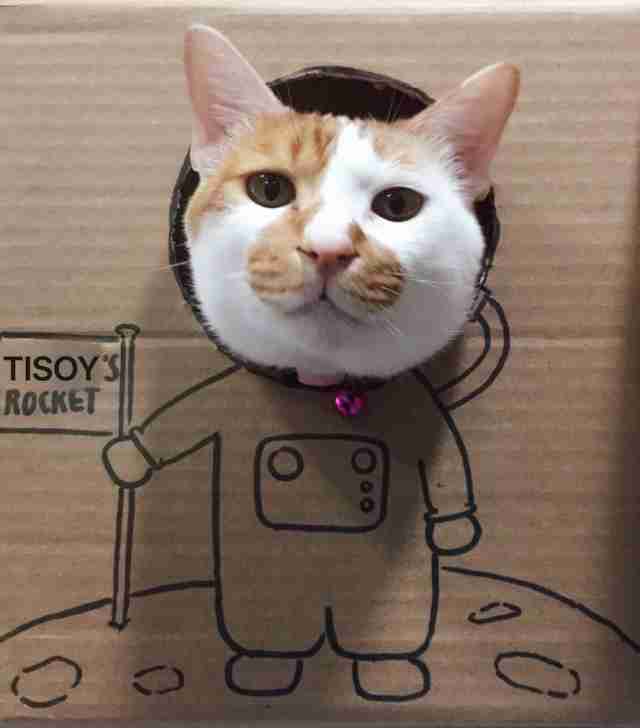 Tisoy used to be a cat without a home. 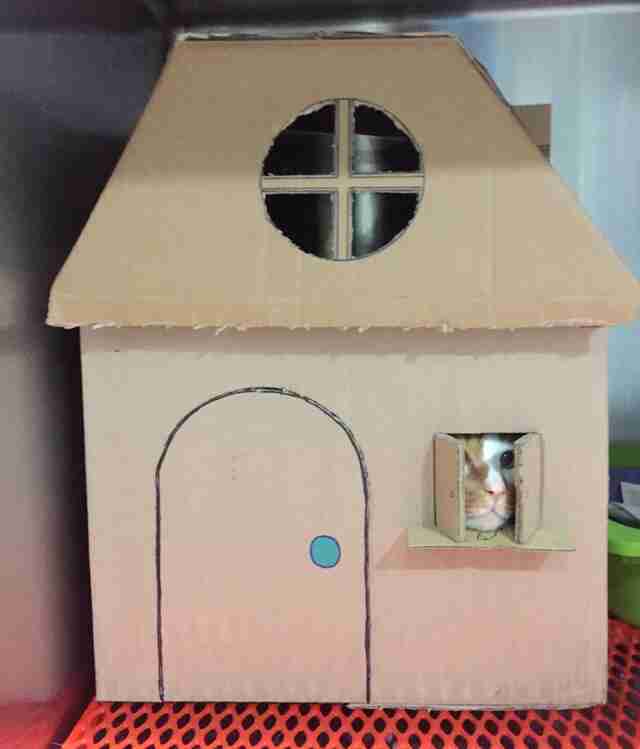 But now he has a home, as well as a portfolio of fancy cardboard properties. 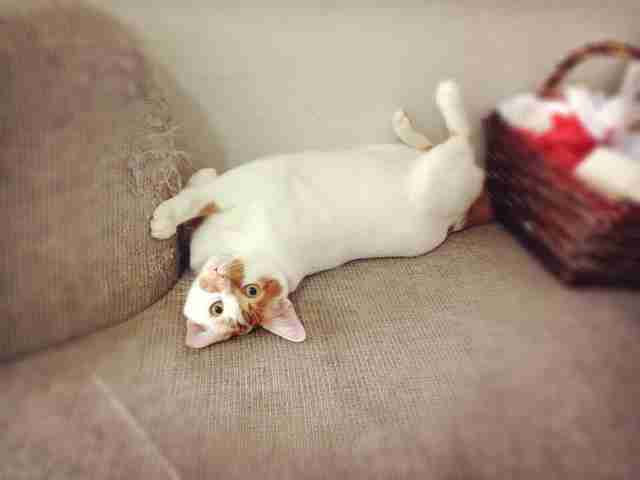 In 2011, a lady found Tisoy wandering outside of an apartment building in Singapore. 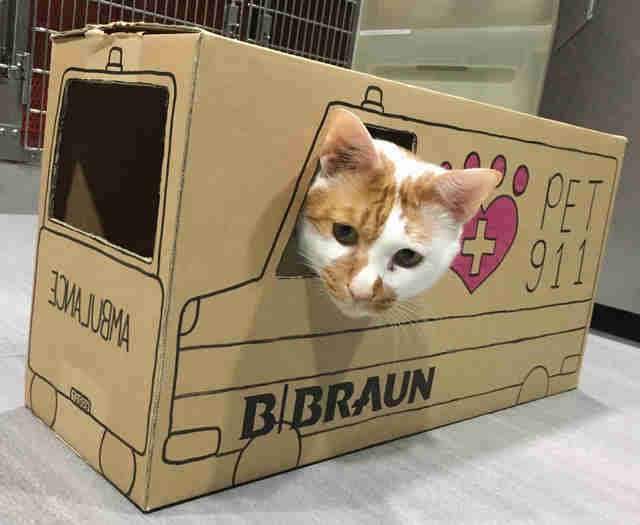 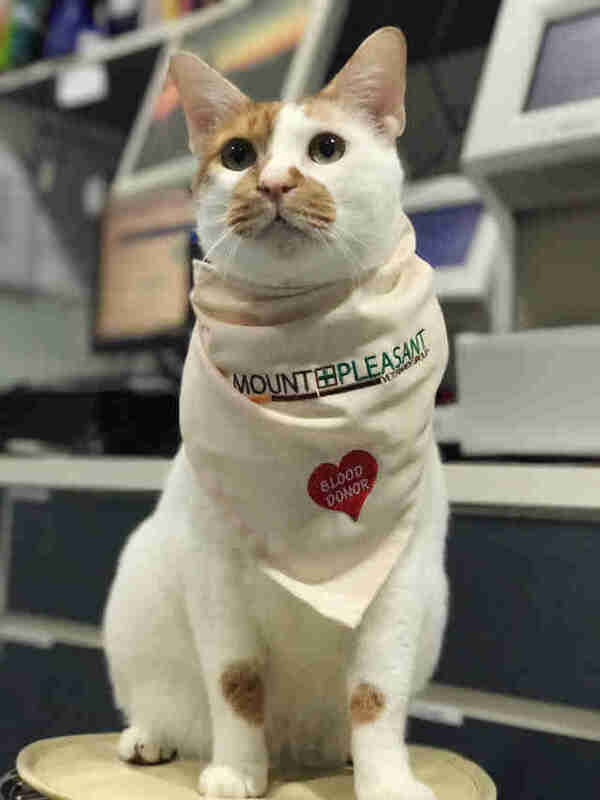 She scooped up the cat and took him to an animal hospital run by Mount Pleasant Veterinary Group, hoping the staff could find him a home. 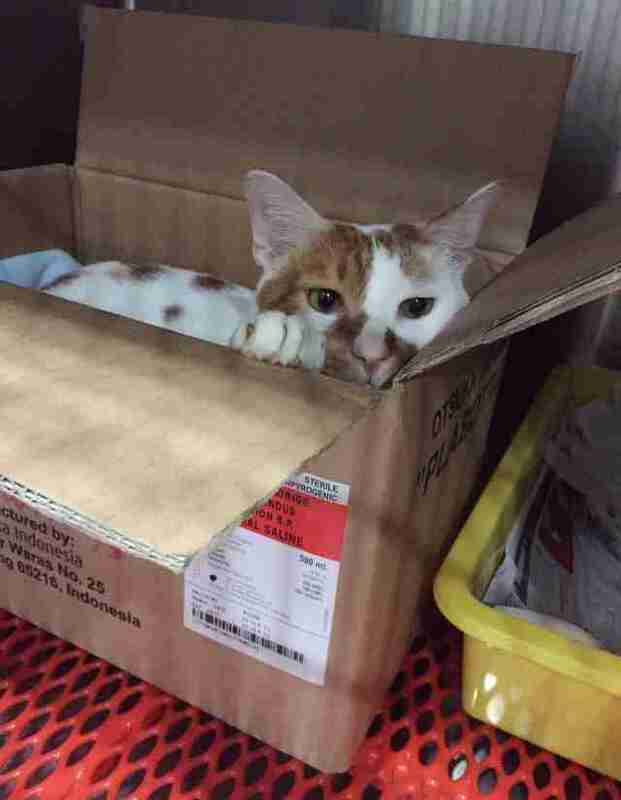 But as it turned out, Tisoy already had a home — staff discovered this when a young boy came into the clinic looking for him. 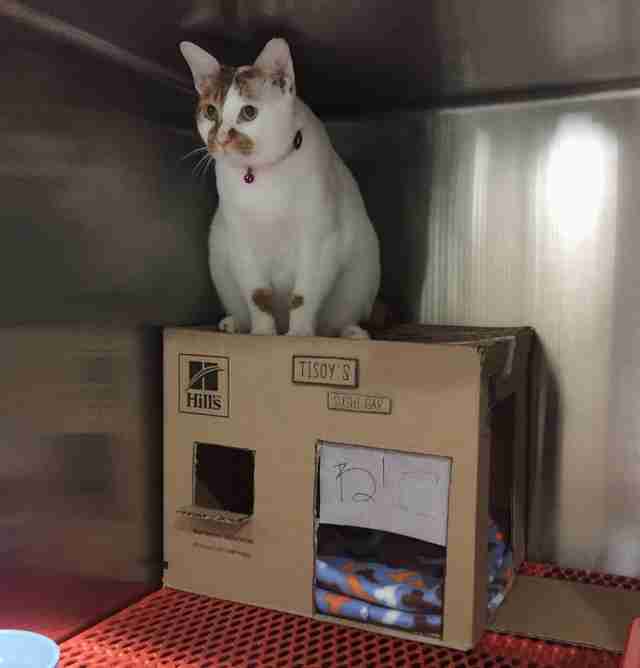 So with the boy’s permission, the staff adopted Tisoy, making him the first — and only — resident cat at the clinic. 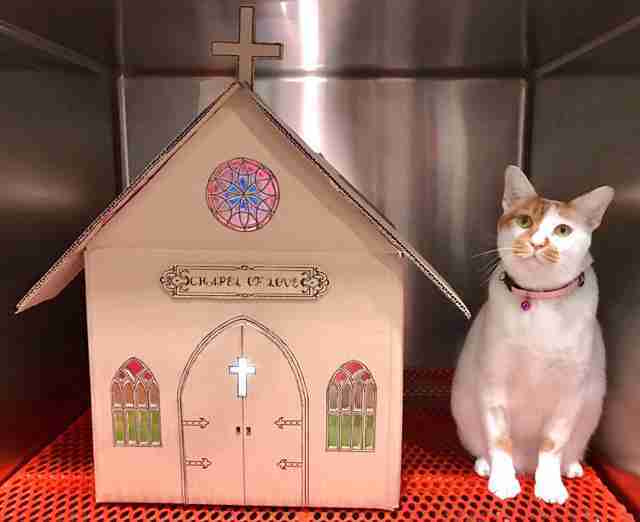 But Tisoy turned out to be a hard cat to please — he had very particular likes and dislikes. 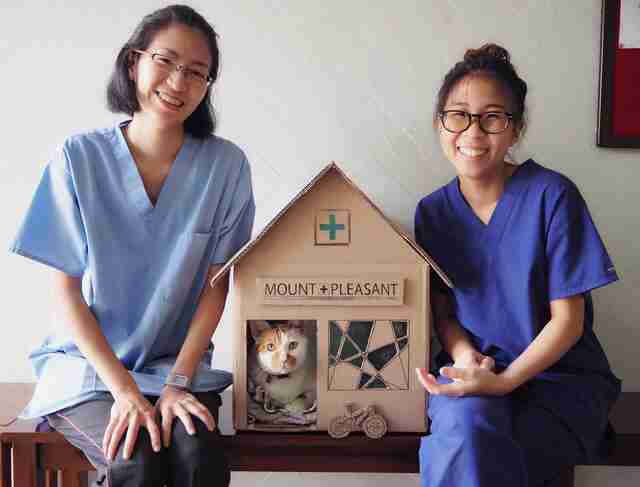 Two of the vet techs, Dorothy Tsang and Gillian Koh, decided to give Tisoy a cardboard box — and he immediately took to it. 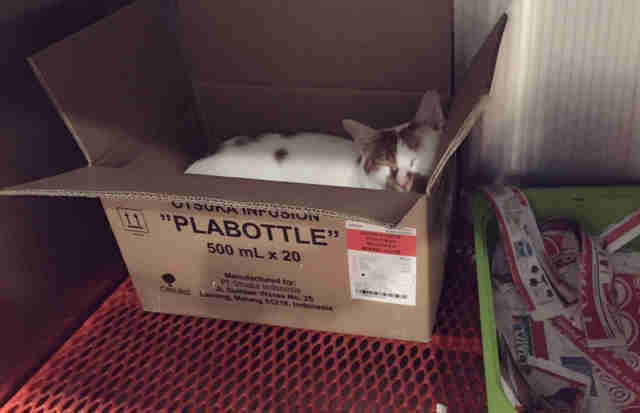 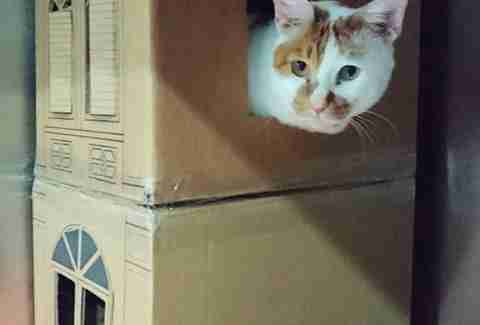 “He hopped into the very first cardboard box and settled in comfortably,” Liew said. 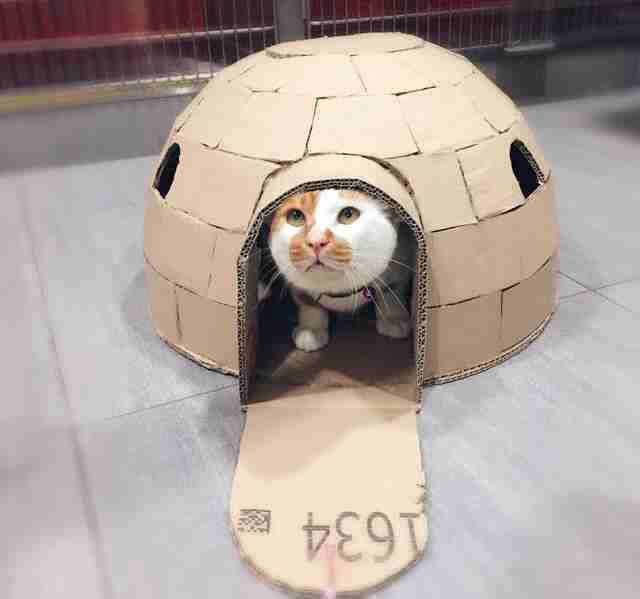 Tsang and Koh didn’t stop there — they decided to create fancy cardboard homes for Tisoy in their spare time. 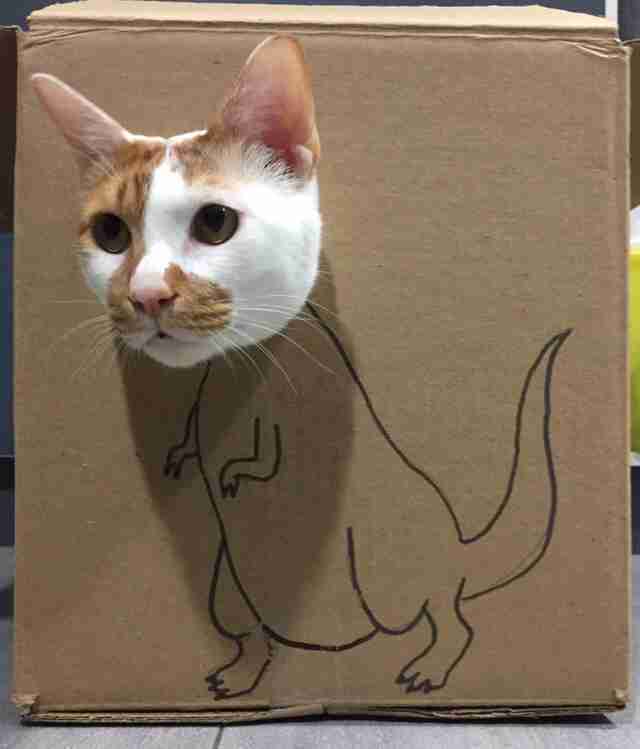 The first one they made was a hipster café. 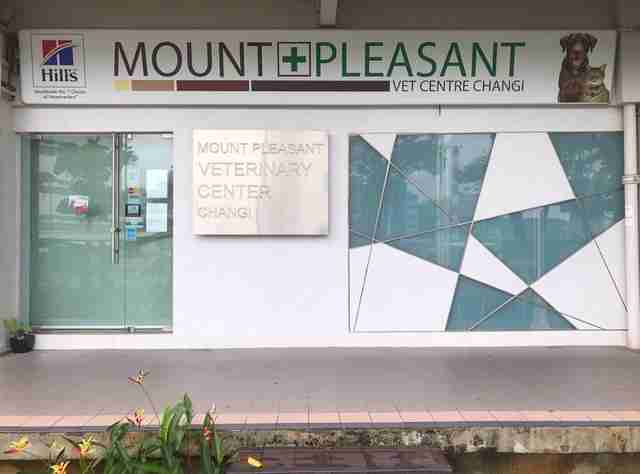 … and even a replica of Mount Pleasant Veterinary Group’s clinic. 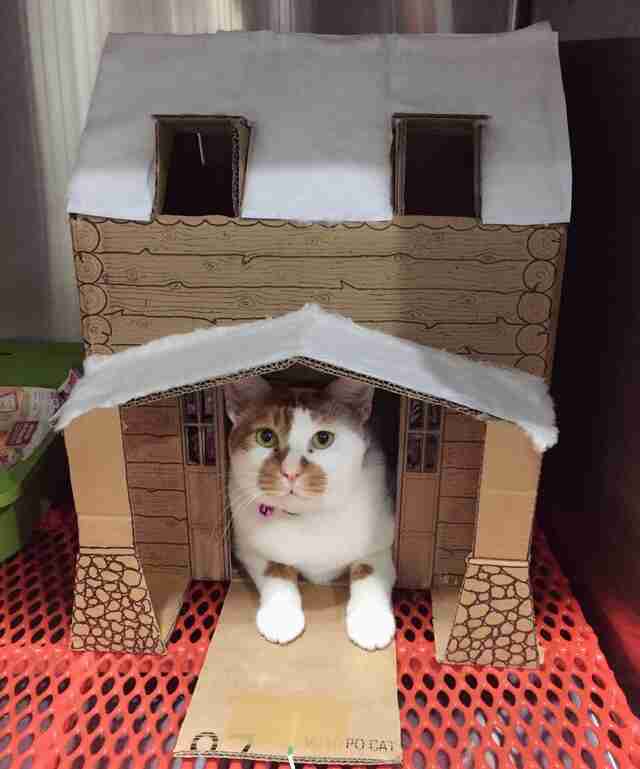 Tisoy adores every cardboard construction, according to Liew. 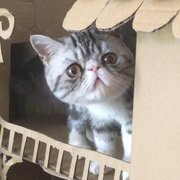 The houses last anywhere from a few weeks to a few months, Liew explained. 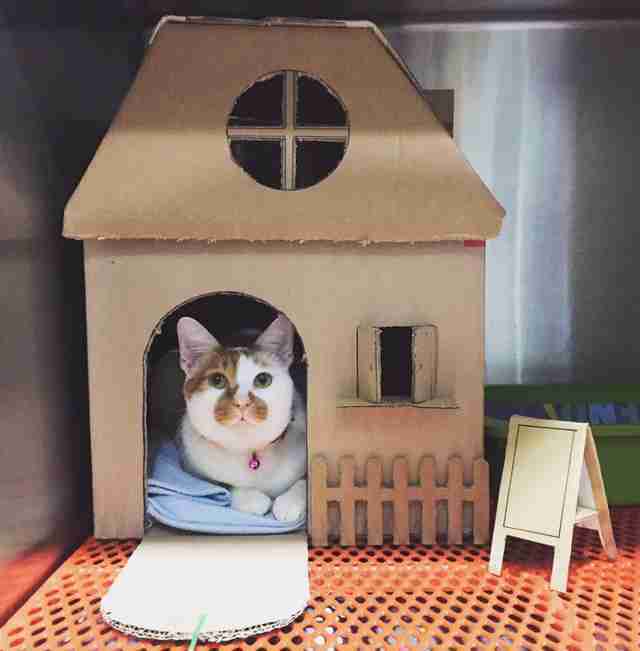 And when Tisoy is ready for a new house, he lets the staff know. 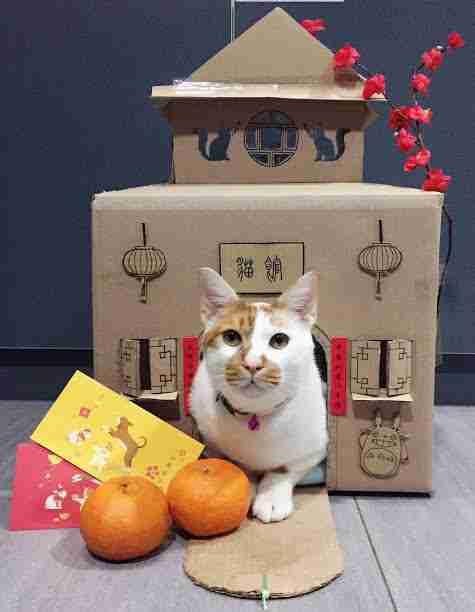 But neither Tsang nor Koh mind making Tisoy new cardboard houses — in fact, they relish any opportunity to spoil him. 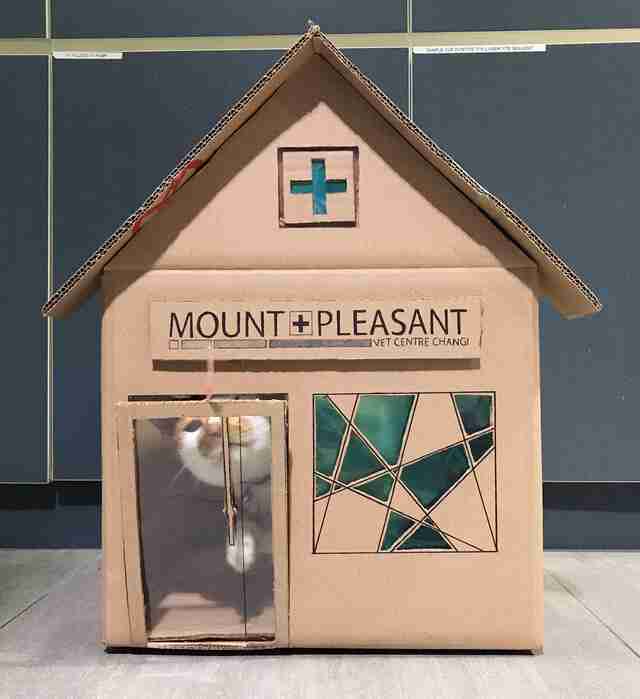 To see more photos of Tisoy and his fancy cardboard properties, follow Mount Pleasant Veterinary Group on Facebook.